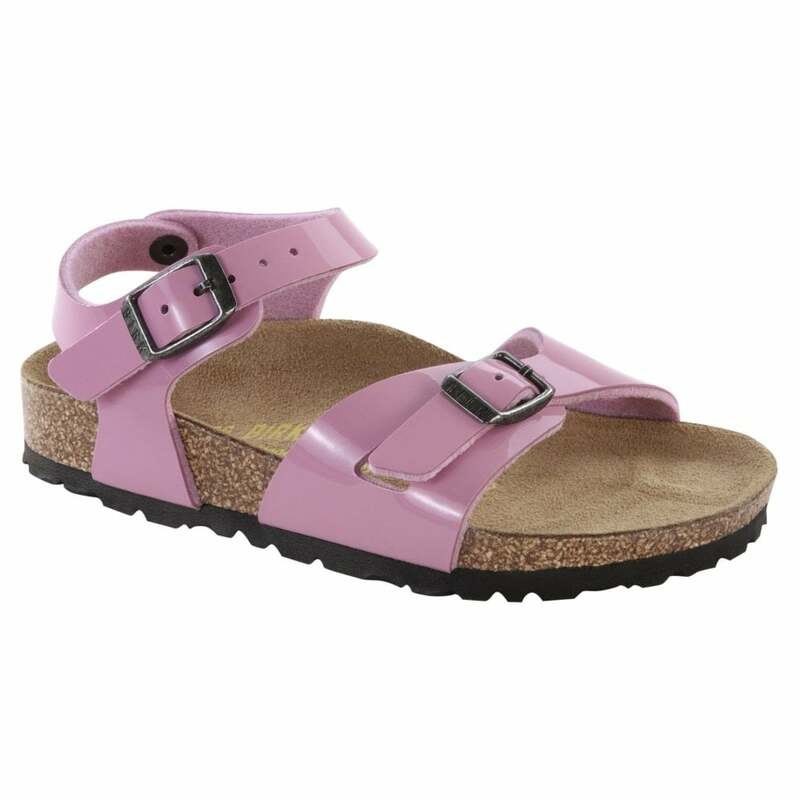 This material was developed by Birkenstock® as an alternative to leather. Birko Flor® is made of soft acrylic and polyamide felt fibers with a durable smooth leather-like finish. Sole EVA -Ethylene vinyl acetate has good clarity and gloss, barrier properties, low-temperature toughness, stress-crack resistance, hot-melt adhesive water proof properties. EVA has little or no odor. Back strap style with Birko Flor Patent uppers, adjustable straps and shock-absorbing EVA sole.